Is Recovery Programming the Next Big Thing in Fitness? From recovery-focused classes to designated recovery rooms, more fitness businesses are amping up their recovery-related programming. Here’s a closer look at the trend, including why it’s popular and how health clubs are getting in on the action -- or lack of action, as the case may be. 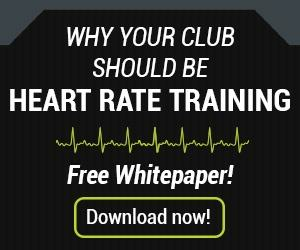 HIIT training continues to dominate fitness trends. However, as concerns linger regarding the demanding nature of this intense mode of training, recovery programming is emerging as a natural response. This isn’t to position recovery programming as an alternative to HIIT training, but rather as a complement to it. According to ClassPass’s breakdown of US fitness trends, recovery-related fitness was the industry’s fastest growing trend in 2017. Specifically, the number of people taking recovery, restorative and meditation classes grew by 16 percent last year. The recovery imperative is shared by instructors and students alike. American Council on Exercise-certified personal trainer Pete McCall told Club Industry: “Instructors are learning more about recovery, and they’re sharing that with their students when they teach classes.” The example of elite athletes who use recovery strategies is also motivating others to follow suit. “If I see a runner in my age group crushing it in the times, and if I found out he or she is wearing compression tights or doing cryotherapy, I’m doing to do the same thing,” continues McCall. In addition to offering compression sleeves to promote circulation, the recovery room includes everything from foam rollers and soft lighting to relaxing music and yoga mats. “We were trying to keep the environment quiet and relaxed so that people can actually recover. The feedback has been very positive,” says Velazquez. Massage, stretching, and reflexology are also appealing recovery room features. Another popular recovery-related trend? Integrating recovery methods into group classes and/or introducing recovery-focused classes. The same applies to marketing all of your products and services, including fitness technology. 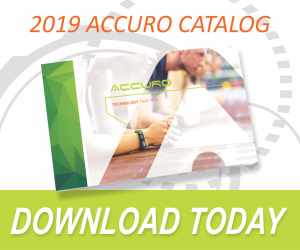 Download the Catalog today to learn more about how the AccuroFit system can help further support member retention and recruitment.